Why should I use an Excellence Photo Booth? 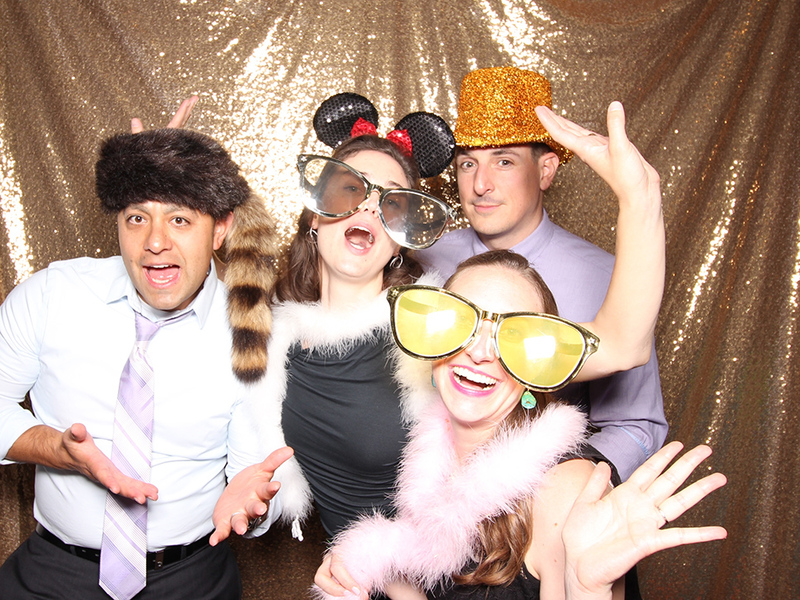 A Photo Booth is an amazing entertainment addition to any event. It draws crowds from young and old alike and it never ceases to amaze at the length of the line to the Photo Booth at any time during your event. Many of your guests may not dance on the dance floor but they will certainly go take their picture! It is a guaranteed crowd pleaser and provides both unforgettable memories and excellent fun simultaneously. When used at a wedding, couples often use the Photo Booth in replace of buying guest favors at the reception. Believe us when we say that your guests would rather have a Photo Booth than a wine opener. Both young and old alike will use the Photo Booth. Instant gratification and that “Magic” moment when the print arrives is what makes a Photo Booth so fun! Excellence Photo Booths are unique in three areas: The attractiveness of the booths themselves, the combination of superb equipment and versatility of the photo booths, and in the level of customer service you will receive! Please take a moment to learn more about an Excellence Photo Booth in our About Me section. If you are looking for a Tulsa Photo Booth rental or Oklahoma City Photo Booth rental for your next event, you have found the right place! Our booths utilize the fastest printers in the business to ensure you and your guests are able to take as many pictures as possible during your event. Pictures print at a mere 8 seconds each and are waterproof and dry to the touch. This allows you to really take advantage of the UNLIMITED prints features that we offer with each of our packages! The faster the printer, the more pictures you can take during your time period and the better value you receive for your money. No printer on the market prints faster. What size pictures will I get? We offer the choice between a 4×6 size picture and a standard photo booth style 2×6 size strip. Each has its advantages and after speaking with you we can recommend the size that we feel will best suit your event. What options do I have for the pictures? We can match a wedding invitation or incorporate a company logo depending on the type of your event. We have designed Star Wars wedding prints and A-List movie prints and almost everything in between! The best part is that we do not limit you to a specific style or design, each template is custom made to your event needs. Can I put a logo on the pictures? Yes, each of our packages includes a CUSTOM logo. We can speak with you and obtain any wording or colors that you may like included in your logo or we can design something ourselves. We will always send you a sample logo for your approval prior to your event. We want to make sure you love it or we will continue making changes until you do! The level of custom design separates an ordinary Photo Booth company from a GREAT one. Make sure and view past event photos when doing your comparisons. How many people can fit inside an Excellence Photo Booth? We offer one of the largest Photo Booths in the area. Our Photo Booths commonly hold groups of 10-12 people. This is an advantage as it allows more than just a headshot like some other companies. It allows more body language in each picture which can really add a lot of fun to the pictures! If you want all of your Bridesmaids or Groomsmen in a photo, we can do that. We operate booths with a curtain in our enclosed style and booths without a curtain in our open style. Our digital booth is our smallest footprint of all at a mere 2×2 feet! In essence we offer a booth style and a budget that is a fit for any of your event needs. We can help guide you to the best fit for your needs. Almost a decade of experience has enabled us to provide our guests with a perfect fit! How do I know if I am centered in the picture or not? Our Photo Booths offer an external flat panel display monitor. This monitor shows the guests exactly what the camera is seeing to ensure that the guest is arranged into the camera view accordingly. How big is an Excellence Photo Booth? Our booths are 75” tall by 42” wide by 24” wide. They will fit through any door so you can have your pictures taken inside as well as outside. We just ask that under extreme temperatures or inclement weather that there is a place for the booth inside to protect our equipment. For both our Enclosed and Open booths we ask that you provide one standard outlet and a 10×10 foot area if possible. For our digital booth we can operate in an area much smaller as our digital booth footprint is only 2×2 feet. What is included with a memory book? We use very high quality memory books to encapsulate the memories from your event. With this option the attendant will provide a memory book, a table with supplies and writing instruments, and will be able to assist your guests as they leave one of their Photo Booth pictures and write a little note beneath it for you to remember them by. This is a very popular add on and the clients love them! The finished book will then be presented to the client at the conclusion of the event. We also provide a black spandex table cover with each memory book package. We do not want to create an eyesore in the corner by providing a table with a wrinkled flat sheet! Can I add additional time to the booking while at the event? Yes, we offer additional time in one hour increments. Our attendant will ask you at the conclusion of your event if you would like to add time at a rate of $175 per hour. Can I order additional pictures from the event/Can I view the pictures taken at the event? Yes, with the event booking comes free password protected online viewing of the pictures from the event at our website. Guests can then order additional photographs, key chains, or even their picture on a coffee mug if they choose! Clients also have the option of choosing not to have their pictures uploaded into an online gallery. Also, we reserve the right to not display pictures that may be determined to be inappropriate. If you would like a DVD copy of all photos you can purchase one for $50.